Barbara Bologna Area Possession Collection woven tartan pant 'Possession Pant' in fine virgin wool. Waistband with belt loops and button fastening with black fabric tassel. Zip fly. 2 side pockets. Low crotch. Angled gathered frills on upper legs front and rear. 2 rear pockets at the rear. Tapered legs. 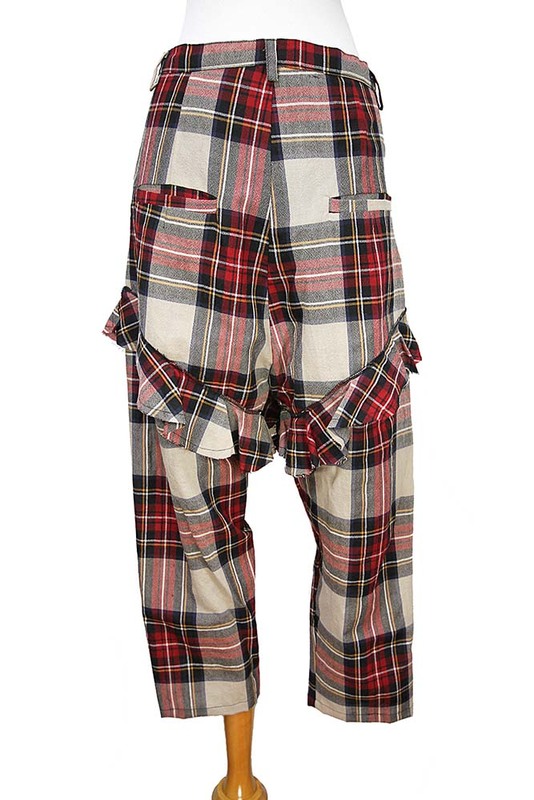 These trousers match the other pieces in the collection using the tartan fabric. Again a stunning garment, unique and very special!